The Western World inherited the cultural enjoyment of glass from the Romans, while the East saw glass as an inferior material to their porcelain and a cheap imitation of precious stones, it is only towards the end of the seventieth century that the Orient has explored glass, as a mass-produced commodity, rather than the art form of their potteries. 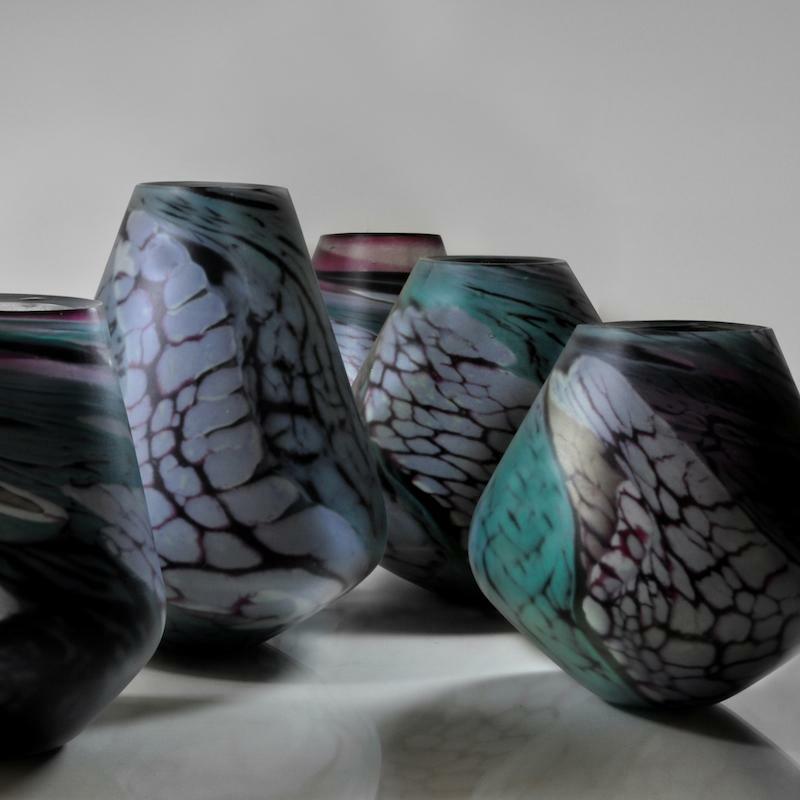 Raku-glass explores the purity of the Eastern Raku-ware, with the Wests approach to glass artwork. The colour work is created in the kiln using fine powders with sheets of bullseye glass (process, not glass manufacturer). Then rolled up and manipulated in the hotshop. The Judge for this category was Alan J. Poole, co-founder of Dan Klein Associates, a world-authority on contemporary glass.